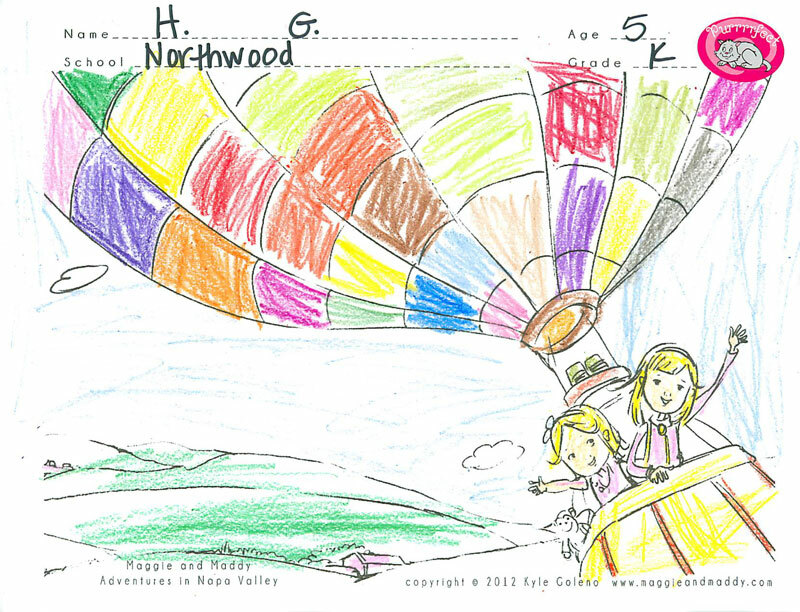 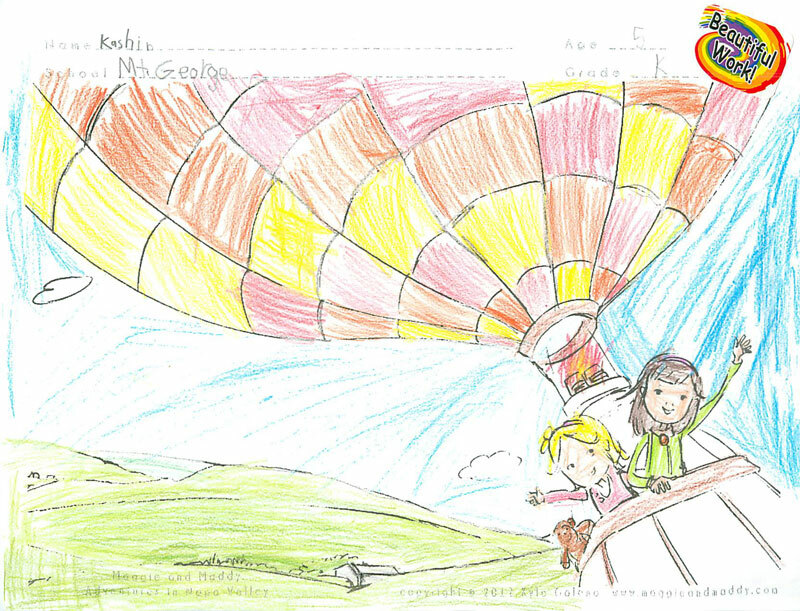 Our Winner of the Northwood Elementary School Maggie and Maddy Coloring Contest is Kindergartener H. G..
Our Winner of the Mount George Elementary School Maggie and Maddy Writing Contest was too difficult to choose just one winner. This contest had three winners. 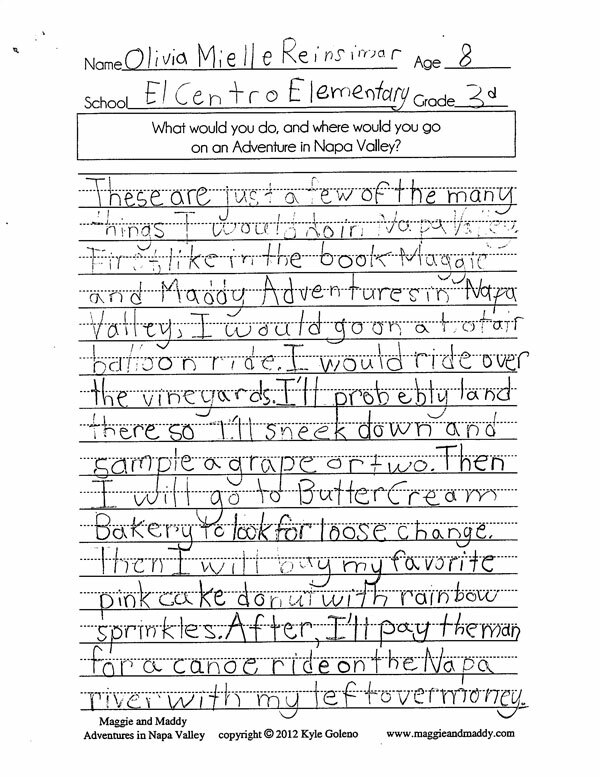 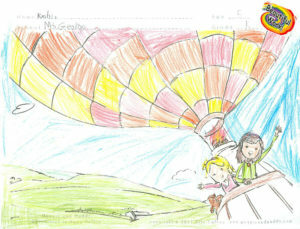 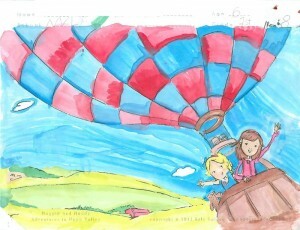 Our Winner of the El Centro Elementary School Maggie and Maddy Writing Contest is thrid grader Olivia Mielle Reinsimar. 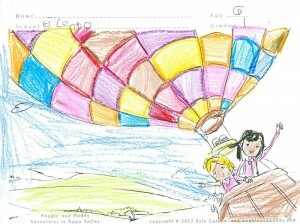 Our Winner of the El Centro Elementary School Maggie and Maddy Coloring Contest would like to remain anonymous. 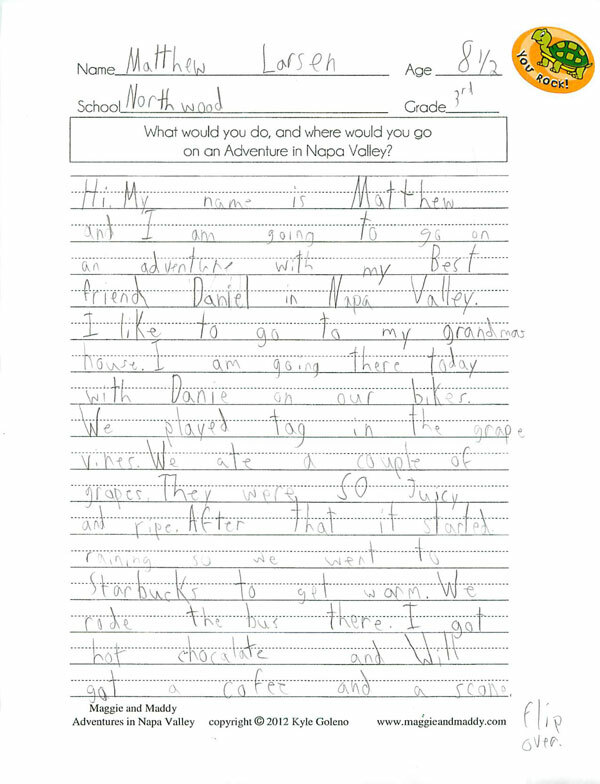 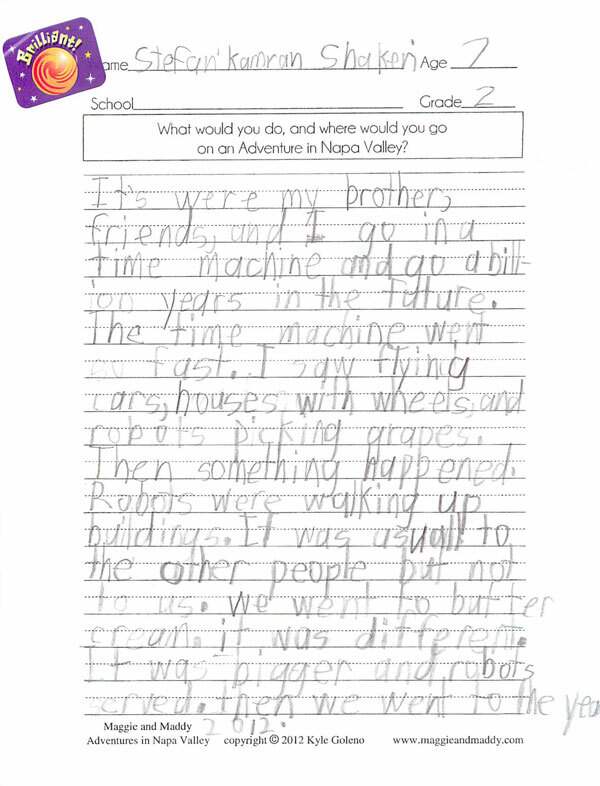 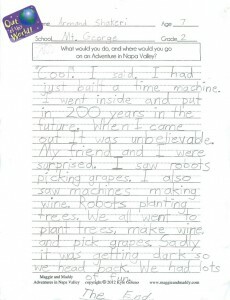 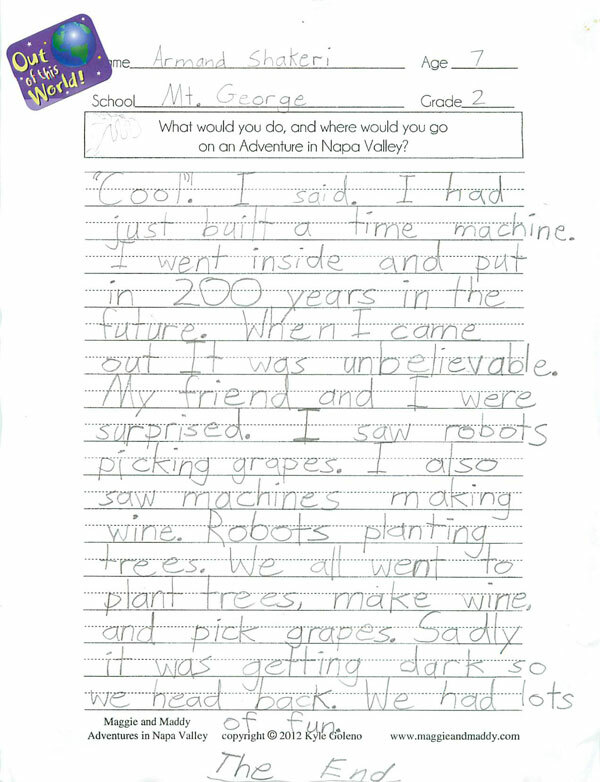 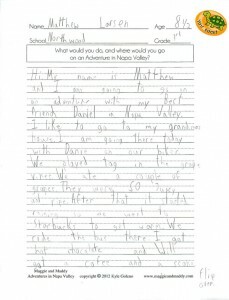 Creating a book about Napa, meant more to us than just creating a book and having it sold at a book store. 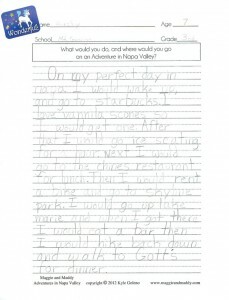 While our original idea came from creating a tourist souvenir, we realized that this book was for locals to enjoy just as much as it was for tourists. 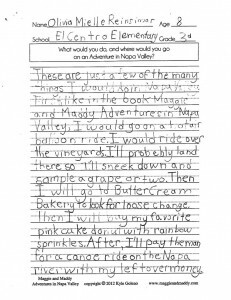 We wanted to share this book with the local children, so we went to the Napa Valley Unified School District, and arranged to provide donated copies of “Maggie and Maddy: Adventures in Napa Valley” to each school library. In addition to the donated books, we also provided “Teachers Guides“, and held Coloring Contests for the Kindergarten and First Graders, and Writing Contests for the Second and Third Graders. 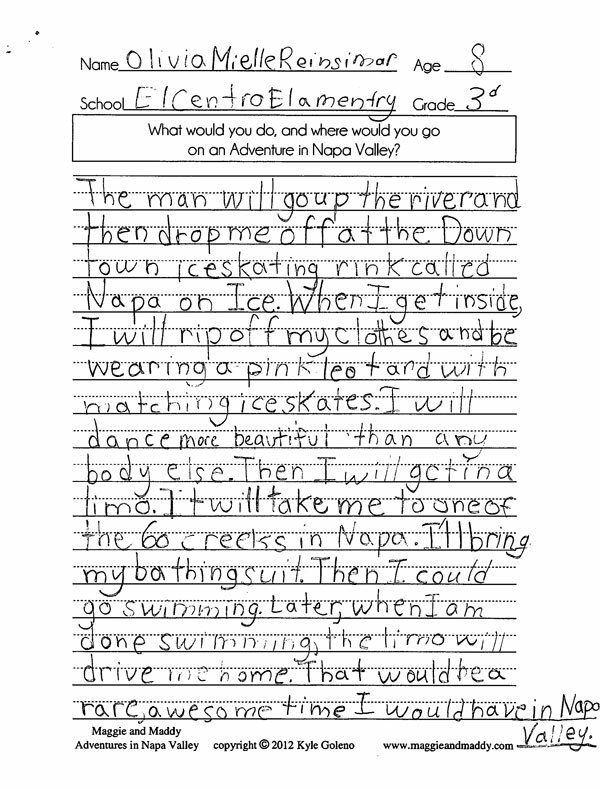 Each school had their own contests, so that several kids would win a signed copy of the book. 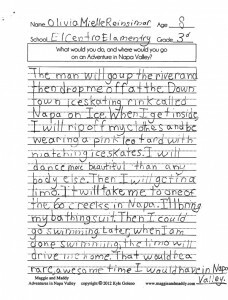 Look through all the School Winners to see the wonderful artistry, and excellent writing!